Surrogacy Cost in India – Total Packages to Befriend You! Legal Contractsby Sr. Lawyer, airport transfers, RM for entire trip facilitation. Medical and personal care of surrogate mother, her travel and monthly allowance, food, coordinator fees, social worker fees. Routine checkups, consultations, blood tests, Sonography as per schedule, extra medical nutrition, 24×7 access to doctors and medical care. Normal Delivery at a super specialty hospital. Birth Certificate, FRRO appointments, all documents needed for baby passport and exit visa process, airport transfers, RM for entire trip and exit process facilitation. Recruitment, her investigations, coordinator fees, ultrasounds, initial preparations, consultations, embryo transfer, food, travel, clothing, monthly allowance, medical and home care till 6 weeks pregnancy (cardiac activity ultrasound), surrogate mother compensation. Legal Contracts by Sr. Lawyer, airport transfers, RM for entire trip facilitation. Storage in clinic Cryo-container for up to 6 months. Thanks to the modern medical science to have been boon for those who ought to get their disease extinct completely. Yes, art of medicine is liable to have drawn a picture healthy living where people are found absentee to any kind of medical condition. At this junction of modern derivation, one may believe thoroughly to breathe in fresh gulp of wide range of remedial solutions. Not only do the developed countries get themselves fruitful of abundance-to-modern medical science, but also to find all the developing countries coming fulsome of best-in-class medical assurance. In India, we do our words out in explaining you have the most excellent as well as effective medical services that went famous all across the globe. Meaning that surrogacy treatment in the country has its position well-known in confirming one get it effective of treatment and of cost, people from overseas have their faith on it thereby. At us, it is simple to hand in pleasant series of IVF and surrogacy treatments composed with customer-oriented services and their pockets too. 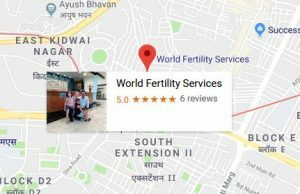 So rely on our surrogacy in India costs is composed well to its reliable and cost-effective service to have been pivotal point to attract people not only indigenous but also from overseas. Why to know India for Surrogacy? Though it is predictable that in the United States, the payment for a surrogate mother ranges between US$15,000 and $30,000, the whole procedure could cost $65,000 to $85,000+. The fees for the rest of the process such as fertility clinics; lawyers; medical fees; and agencies and/or egg donors generally cost more than the fee going to the surrogate. India brings itself as foremost in surrogacy owing to the low cost treatment and availability of women deciding on to be surrogate for the childless couples. In India, Surrogacy costs about $ 20,000 – 30,000 compared to US where it is $80,000+. Furthermore, laws in US and UK do not let the surrogate woman to charge the childless couple; whereas in India, there are no laws avoiding a surrogate woman in believing compensation for renting her womb. Surrogates may be relatives, friends, or previous strangers. In compensated surrogacy, the amount a surrogate varies widely from almost nothing above expenses to over $30,000. Careful screening is required to assure their health as the gestational carrier acquires possible obstetrical risks. f. Not smoke or take alcohol. 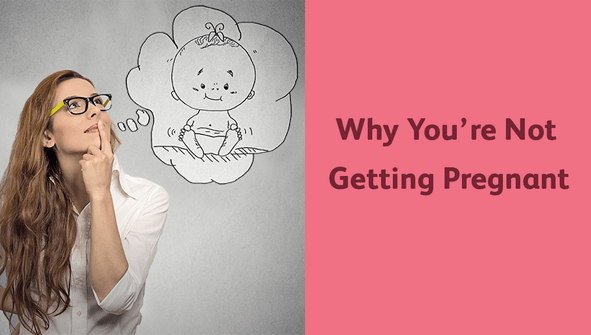 At us, there are simply many factors to give a precise success rate to surrogacy. If you come across a willing carrier, whether she finds pregnant and carries the baby to term relies on such variables as sperm count, egg quality, and the achievement of difficult procedures, such as IVF. According to the U.S. Centers for Disease Control and Prevention, gestational carriers accounted for less than 1 percent of all births occupying fertility treatments in 2010. That same year, the American Society for Reproductive Medicine gives an account on gestational carriers that were responsible for more than 2 percent of births at its member clinics. Getting a healthy, the willing gestational carrier would not take time as our clinic has surrogate mothers already recruited with us, they are screened at our surrogacy center and are physically, medically and mentally fit to take the sacred journey of surrogate motherhood for childless couples. Once you’ve gone confirmed upon the agreement, your carrier holds IVF and embryo transfer treatment until she gets pregnant. It could take three or four treatments to get a flourishing pregnancy. Some experts don’t advise attempting for longer than that because it does not seem likely to be doing well. Who to look on Surrogates? o She may have medical problems with her uterus. o She may have had a hysterectomy that removed her uterus. o There may be conditions that formulate pregnancy impracticable or medically risky, such as severe heart disease. Other women prefer surrogacy after attempting unsuccessfully to find pregnant with a diversity of assisted-reproduction techniques (ART), such as IVF.